The success of League1 Ontario is certainly catching on. Four new teams will join Ontario's only pro-am standards based league in 2017, with three new teams joining the women's division and one more team being added to the men's division. 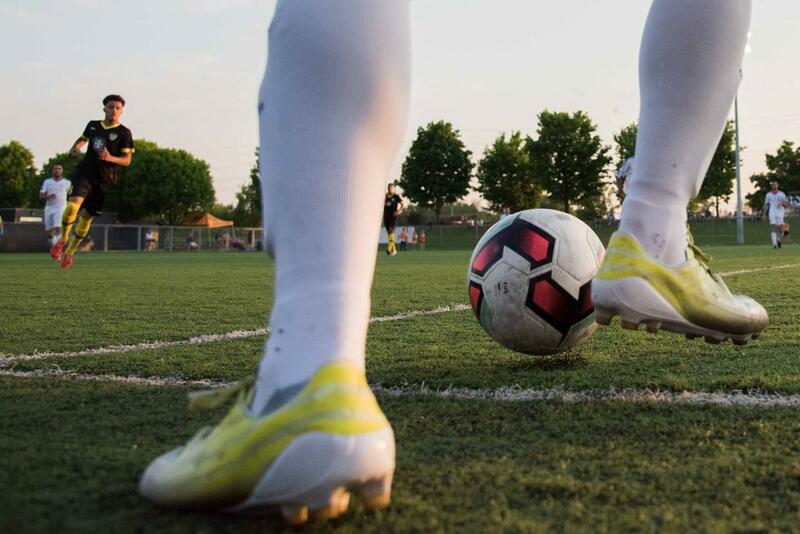 For this round of expansion, the League1 Ontario Steering Committee opted to restrict new entries to apply to enter a team in either the Men's or Women's Division to ease their transition to operating at this level. West Ottawa Soccer Club, Toronto Azzurri Blizzard and Unionville Milliken SC will join the women's ranks, growing the division to 12 teams next season. Ottawa South United will join the men's division, which will now boast 17 teams in 2017. "That we are able to attract this kind of caliber of clubs to our league speaks volumes about the success the program is having," said Dino Rossi, League1 Ontario Commissioner. "League1 has established itself as the place for Canadian players looking to take their game to the next level and has proven to be a jumping off point for many into the pro ranks." League1 Ontario has graduated 50 players (45 men and five women) into pro-environments in the last two years alone – something rarely seen across North American soccer – and has helped countless others reach the university and college divisions. "League 1 Ontario will provide showcase opportunities for our high-performing soccer players and provide an excellent venue for our membership to see soccer in Canada at its best," said Bill Michalopulos, Ottawa South United President. "If all goes well, we hope to have the opportunity to provide the same platform for our women, as early as 2018." In addition to providing a platform to showcase their skills, League1 Ontario helps to fill a gap for many in the Talented Player Pathway. "From a technical standpoint, this will address a gap in the pathway for female soccer players in the region. There are plenty of talented players out there looking for the next level of competition and I look forward to working with them," said Kristina Kiss, West Ottawa Soccer Club Technical Director. Offering young players an opportunity to fine tune their skills in Canada is paramount for those looking to progress in their careers. "Over the past two seasons, I have seen what League1 has been able to offer female players," said Joe Parolini, Toronto Azzurri Blizzard. "It allows NCAA players and Women's National team players the opportunity to play at the highest level of play, while still staying at home rather than traveling. It also allows Division 1 players and younger youth players an opportunity to train and play with some of the best talent across Canada." Finally, for three of the four new additions, League1 will offer a natural transition from their Ontario Player Development League programs. "League1 is an important offering for OPDL and high-level players who continue into varsity and aspire to National Team programs," said Richard Herold, Unionville Milliken SC President. "As a high-performance club offering services in the full spectrum of performance training, placing players nationally and internationally, it was important for UMSC to have a League1 offering to remain a home for players at the highest levels of the sport." For more on League1 Ontario, visit their website. League1 Ontario is the only pro-am, standards-based, league in Ontario. Founded in 2014, the league began with a 10 team Men’s division, which has now grown to 17 teams and includes a separate 12-team women’s division. League1 Ontario serves as a stepping stone between the youth, amateur ranks, and the full-on professional sides. Sanctioned by the Ontario Soccer Association, the league's focus, first and foremost, is the development of Canada's future stars.